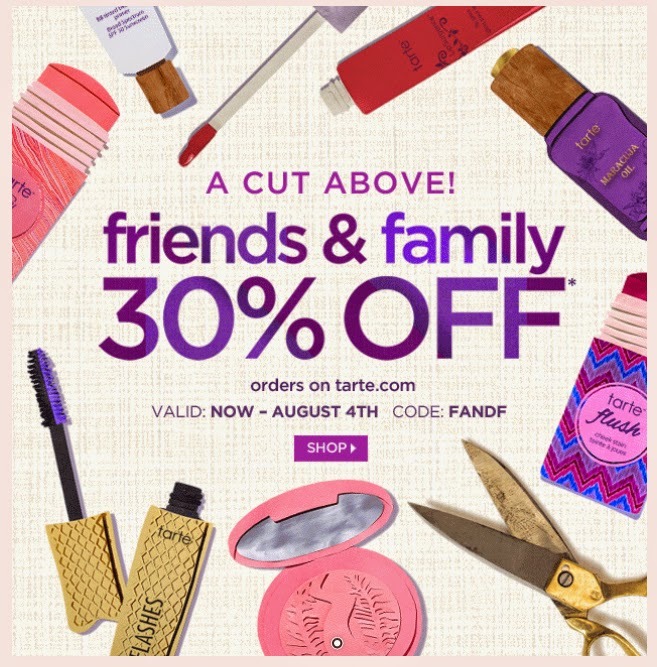 Tarte Cosmetics 30% Friends & Family Sale!!!! If you are a regular reader, you know I LOVE tarte cosmetics! Well it is that time of the year for their FRIEND'S AND FAMILY SALE!!!! yay! Who doesn't want to save on all their tarte holy grail items?!? Today until Monday August 4th save 30% by using code FANDF at checkout. If you don't have a tarte account if you shop through my link, it would be doing me an awesome favor. I get 10 tarte tokens if you shop through my link and at 500 tarte tokens they give gift cards. Pleasee? 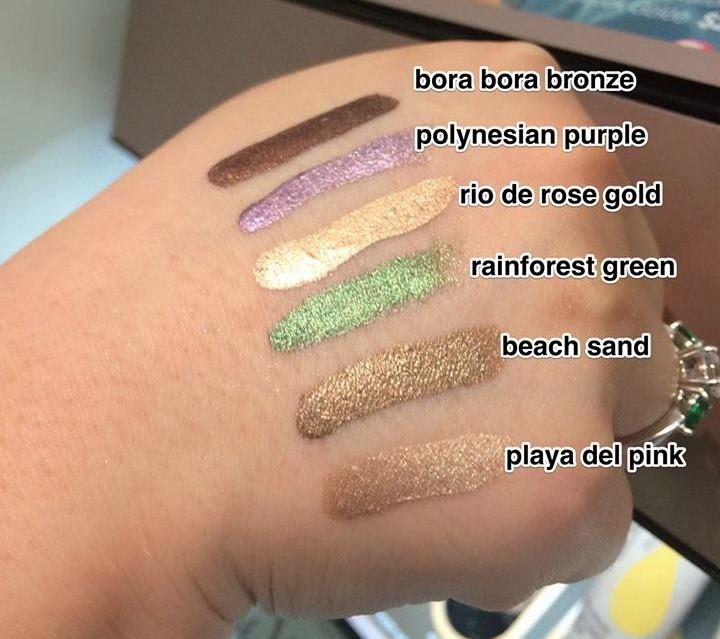 For Summer 2014 Josie Maran came out with AMAZING eyeshadows as part of her Argan Oil Infused makeup line. These shadows aside from having noushing argan oil also contain coconut water which is very hydrating for the skin too! I LOVE these shadows. The finish on them is so pretty- a gorgeous sheen and metallically. There are six total colors to choose from and I personally own 5 of the 6. 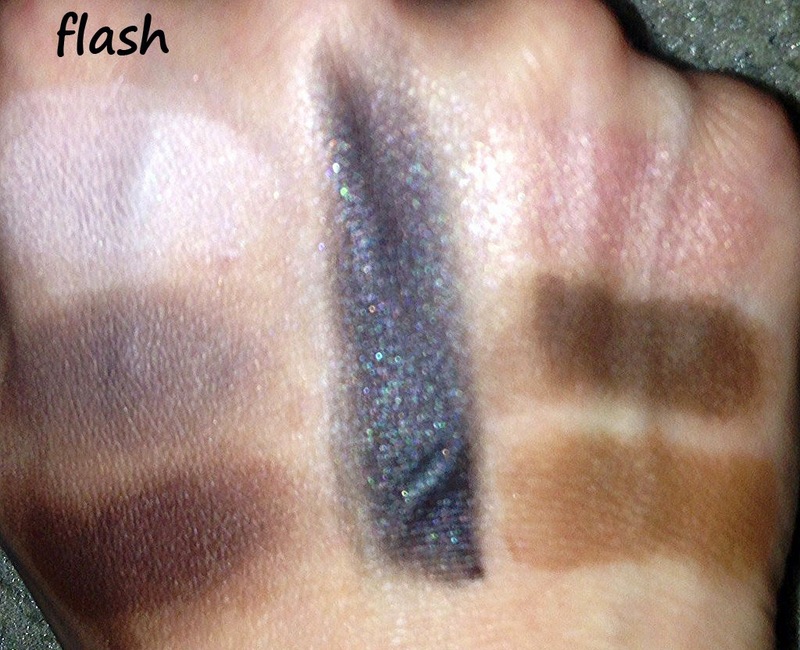 When worn over an eyeshadow primer, I find these shadows to last all day and they also bend beautifully together! Thank you Jessica H for the swatch pic! 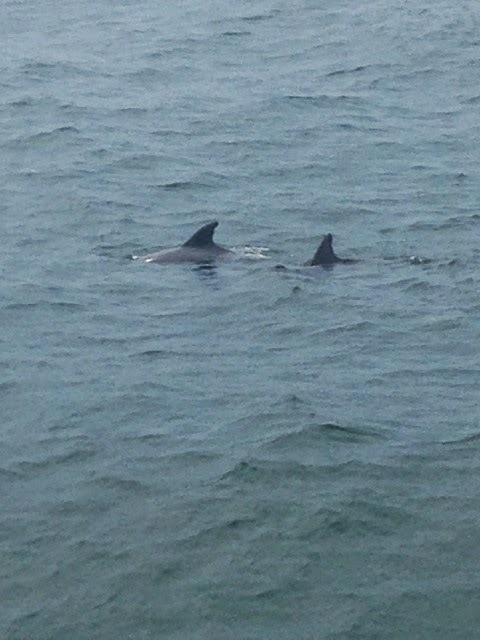 Here is my second day of Vacation blog! If you missed the first day blog with tons of pics, you can view it here. The pics above we decided to ride the ferris wheel. I don't have a fear of heights, but this particular evening it was SUPER SUPER SUPER windy!!!! I didn't realize just how windy it was until we got stuck on the top and we were swaying quite a bit. You can see the fear in my face as I gripped the sides of our car for dear life. I was so happy when it was done, but man the view from the top of that thing was breath taking from all angles. The two pics above, we played a lot in the arcades. This new machine you put quarters in and a bouncy ball drops down. It bounces and bounces until it winds up in a hole and each hole is a different number ranging from small to huge. I didn't get the mega jackpot, but I left with a lot of tickets!! Here is a photoshoot we attempted on the beach. 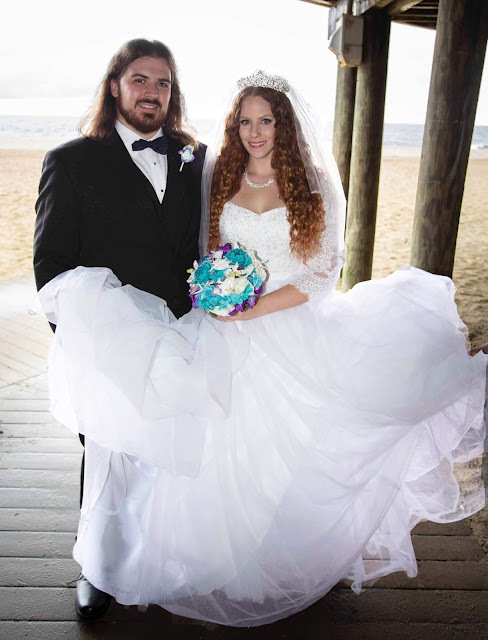 This was another really, really windy evening as you can tell by my dress and hair in some of the pics. i love this pic because between the lighting and the flash, I don't know what happened but it made me look fake like a doll! this picture (and all of them actually) are all unedited or touched in any way. Makeup wise everything is the same as day one except for the lips and eyeshadow so if you would like the details, be sure to check out the vacation day 1 post. Hair wise honestly this was not my best hair day! My hair was driving me nuts and the wind was no help. I washed it after the waterpark, using living proof restore shampoo, devacare one conditioner to detangle and then style wise used living proof restore treatment mask as a leave in with prime, restore cream, original moxie hold up serum, and argan oil. The roots were still a bit wet here but the front hairline pieces were misbheaving particularly bad. I do usually have issues with them but even worse for whatever reason. I also used the DevaCurl Set Up & Above pomade AND some of my boyfriend's hair spray to try and get my hair to look decent. After the photoshoot, I just tied it back in a messy bun and called it a night. Perhaps my hair was mad at me for the over chlorinated water parks and such? 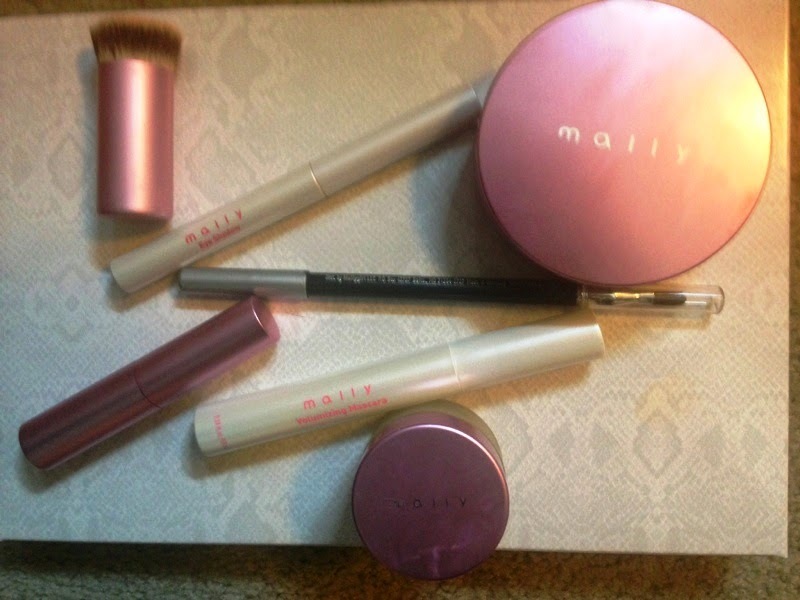 On Tuesday July 29, 2014 Mally Beauty will be bringing an awesome new kit to QVC! For 24 hours early, this will be the Today's Special Value where you can get all of these incredible items at a great, low price. The "Simple Steps to a U, U Love" kit includes some Mally Beauty favorites such as the Perfect Prep Undereye Brightener, Volumizing Mascara and Evercolor Shadow Stick is a gorgeous color called "Copper Rose" as well as debuting new products including a nourishing lipstick in a beautiful rosy pink shade called "French Kiss", Waterproof Evercolor Starlight Eyeliner in an eye whitening color called "Black Navy", a brush and the debut of Mally's latest foundation "Poreless Perfection Fluid Foundation" in your choice of shade. The new foundation in this kit comes in an airtight sponge compact which is becoming more and more popular in the United States as of lately. I went with the shade "light" for my skin and it is a good match. I do wish the brand offered this in a shade between light and medium. The coverage is buildable and sheer to full. It has a nice natural matte finish. Summer is a great time of year. Most of us find ourselves outside more enjoying activities at the beach, pool, waterparks and backyards. Though you are probably protecting your skin with SPF (right?!) are you protecting your hair too? It's important to shield your tresses from UVA & UVB rays. They can be just as detrimental to both hair and skin. UV rays can dry out the hair, causing brittleness, thinning, frizziness, and color fading. But don't worry--there are many products that contain UV protection, so just make sure you use one of these before heading out in the sun and then have some fun! 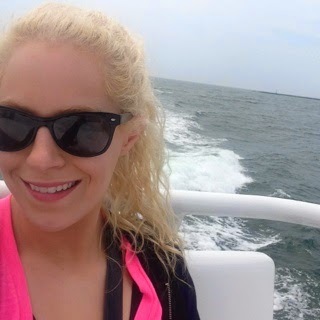 CLICK HERE to see my article for naturallycurl.com with a list of 15 products with UV Protection. My personal favorites are the Ouidad Sun Shield and Living Proof Restore Instant Protection Spray. 9 Ways to Use Argan Oil! Argan oil is everywhere in beauty products nowadays, and with good reason. This pure and natural ingredient, which comes from a nut that only grows on trees in Morocco and take fourteen years to do so is such a great multi-tasker. High in Vitamin E, essential fatty acids and antioxidants, this oil has fantastic healing, conditioning and reparative properties. The Wall Street Journal even dubbed Argan Oil as "liquid gold." 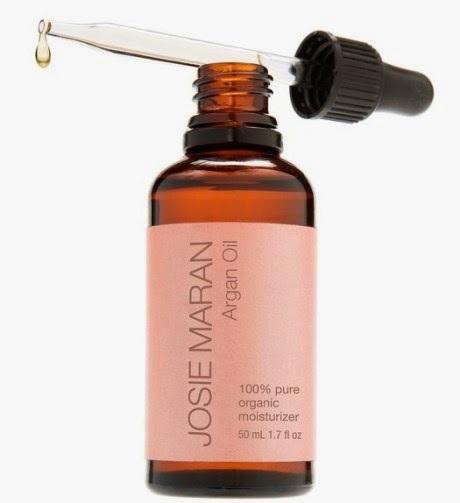 I first heard and learned about Argan Oil personally by watching the gorgeous model and now environmentally conscious cosmetics line owner, Josie Maran, sell her line on QVC which focuses all around this precious little nut. Check out the rest of my article including 9 ways I like to use it on naturallycurly.com by CLICKING HERE! Ouidad was one of the first lines (and salons) to specialize in products for all types of curly hair. The Salon Series by Ouidad line are targeted solutions to help promote health hair and scalp and can be used by ALL hair types! 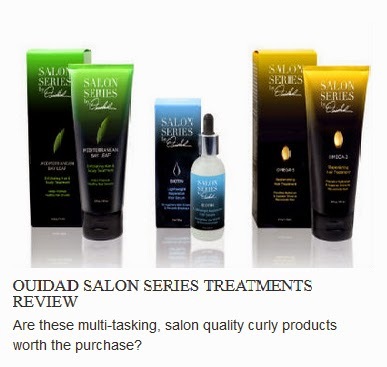 The Ouidad.com website says "The Salon Series is a collection of innovative at home treatments utilizing unique naturally-derived ingredients inspired by professional services practiced at the renowned Ouidad Salon in New York City." CLICK HERE to read my in depth review of these products on naturallycurly.com! My boyfriend, Tommie, and I recently went on a nice vacation. We didn't go all that far- just down to Wildwood and Atlantic City (in New Jersey) We had such a wonderful time and of course vacation just went way too fast. Of course I took lots of pictures, and took some focusing on my makeup, hair and outfits for here. So over the next few days I will be posting some nice, photo heavy blog posts! I love the dress I wore for our first night hanging out on the boardwalk! It combined galaxy print which I love and it's pink, which I also love! This dress is from Hot Topic and I purchased it a few years ago. The sandals are aerosoles. The black hooded long cardigan I am wearing over the dress in some of the pictures is from Urban Outfitters and is at least 5 years old. vacations are for ice cream. The nice illuminating shine on my arms and legs is thanks to the Josie Maran Argan Oil Whipped Body Butter in the Bronze Vanilla Peach formula. It adds a nice glowy tint to the skin and smells divine! Hair wise, this was our first night there and it is day 2 hair. I deep treated the day before and how horrible is it I forgot what I used!? I know for styling I used my favorite current summer combo: Living Proof Prime, Living Proof Restore Cream, Original Moxie Hold Up Serum & Argan Oil. To refresh day 2 I used my Q-Redew and CURLS Cashmere Jelly section by section that morning. Right before we went out (and these pics were taken) I took Devacurl Set Up & Above Pomade through all my hair so the humitiy wouldn't cause it to frizz or expand. That product is excellent for that purpose if you know you will be outside. My makeup is mainly tarte with some It Cosmetics & Mally. I brought the Coral Crush circle palette to Wildwood last year and loved it so much it came back with me this year. Lips: It Cosmetics YLBB Liner Stain in Pretty in Pink, SheaMoisture gloss in Rosie. 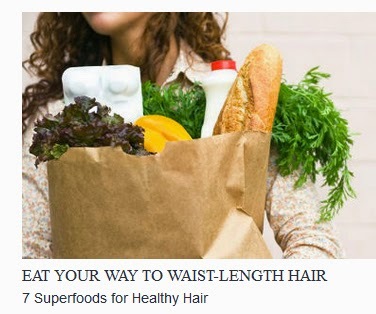 Eat Your Way to Healthy Hair! 7 Superfoods for Better Tresses! And because your hair is part of you, what you eat reflects in the health and state of your hair. 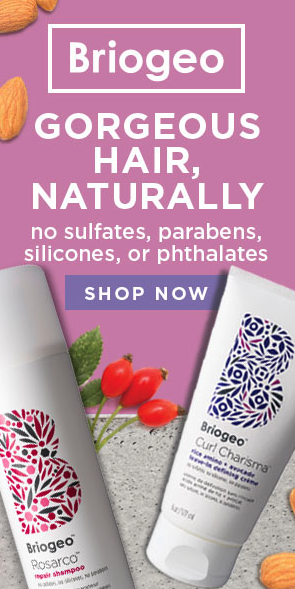 If you want hair that is healthy, longer, stronger and shinier you should be paying attention to what you put INSIDE your body, not just what you use on the hair itself. CLICK HERE to read my article and find out the Superfoods that will help your hair health in my naturallycurly.com article! 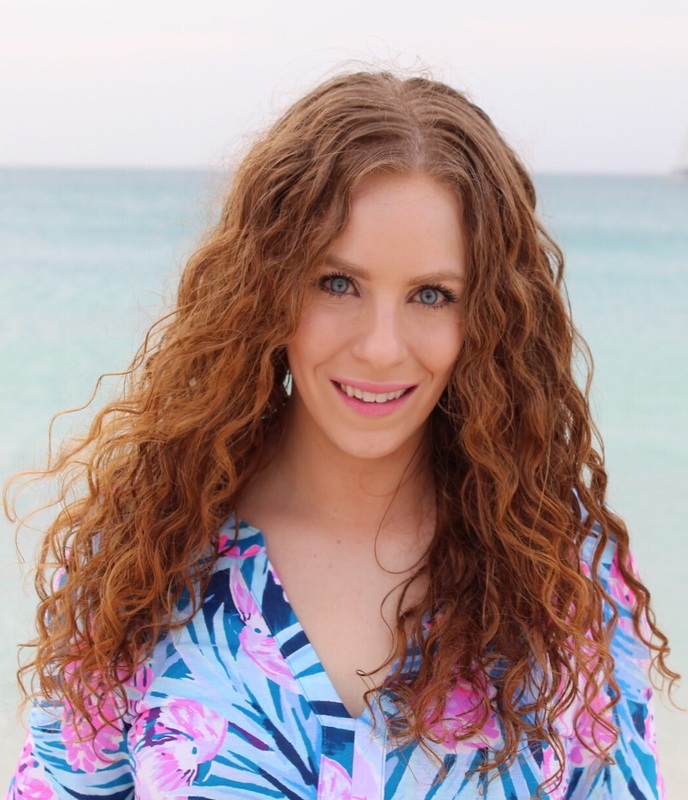 and for all of my naturallycurly.com articles, click here! Tarte CC Eye Solutions Palette Review & 3 Demos! 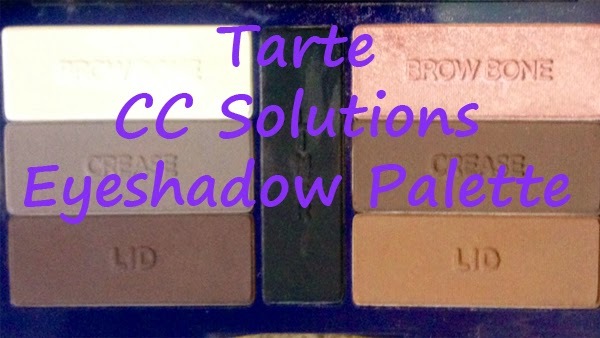 Tarte Cosmetics recently released their CC Solutions Eyeshadow Palette along with an incredible double ended brush on QVC! Infused with Tarte's newest star ingredient, Colored Clay, which will help a multitude of skin concerns from color to texture and lines, this palette is specifically coordinated to reduce the appearance of darkness and make applying eye shadows really easy! This palette is especially great for beginners, as it tells you where to use each shade on each shadow and comes complete with two looks: an uplifting look and an awakening look. These were created to address two of the biggest eye concerns. But don't feel limited to only following the directions- it is your palette so play as you please! 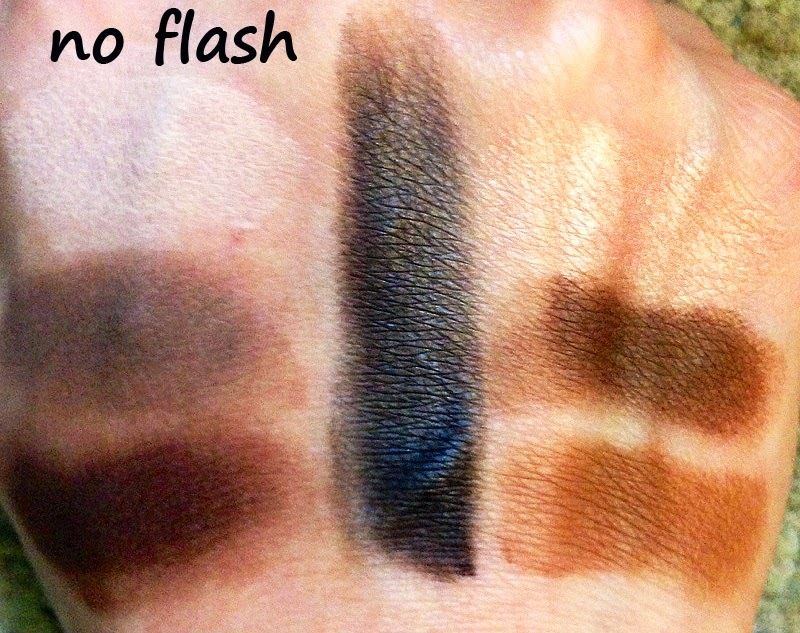 I find these shadows to be buildably pigmented, they blend wonderfully, do not crease and when worn over an eyeshadow primer stay all day until I wash my face at night. In my video I go into great details of a review, including swatch pictures and three different eye look demos! Quick Summer Makeup Routine featuring It Cosmetics! I am so honored to be the It Cosmetics Blogger of the Month this month! To celebrate the occasion, I did a demo tutorial video on a quick Summer Makeup Routine featuring all It Cosmetics products! I love that It Cosmetics products will make me look flawless, stand up against the heat and even protect my skin with SPF! I so often get asked what my favorite hair products are. I am a product junkie and I enjoy playing around with all sorts of hair stuff, but I do have holy grails and favorites that I can't be without. Some of these products have been my favorites for years and some are more new but still loved. Part 1 includes all of the shampoos, co-washes, conditioners, deep conditioners, oils and more. Part 2 includes all of the stylers from refreshing sprays, mousse, gels,serums, pomades, hairspray and more!! 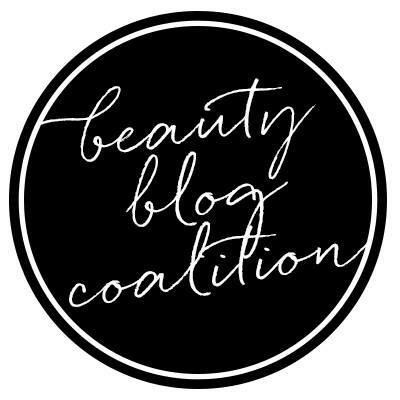 I am It Cosmetics Blogger of the Month!! It Cosmetics is one of my very favorite cosmetic brands! When they asked me if I wanted to be their Blogger of the Month on facebook for July 2014, it was A DREAM COME TRUE!! This (above) is my feature on the It Cosmetics Facebook Page, I hope you like it! And thank you all so verymuch for your support, comments, and kind words. They mean the world to me and I know something like this could never happen without all of you!!! I play with so many products and love them, I am a product junkie after all but certain Living Proof Products have remained constant staples and holy grails in my routines for years now. Their products are high quality and unique. The brand was developed by MIT scientists and beauty experts who developed and patented new molecules for their hair care line! The products never have any sulfates, silicones, or oils and are all safe for color treated and chemically treated hair. Although they don't have a specific "curly hair" line, myself as well as several friends find their products to perform extremely well on all our varieties of curls and waves. The products all have a pleasant, very light clean smell that is not offensive at all. 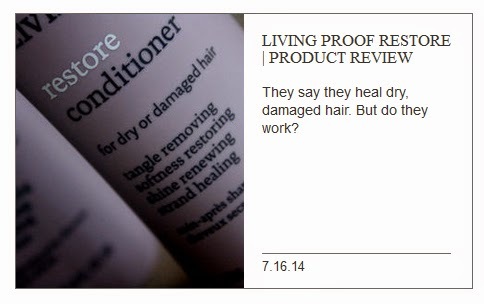 What Living Proof says: For dry and damaged hair. This line as a whole is said to help keep the hair cleaner longer and help break the cycle of damage. The Restore technology is clinically proven to make hair 20x stronger in just 14 days. And the longer you use it, the healthier your hair gets. The Restore line smoothes, corrects and protects from root-to-tip, making a damaged cuticle act like new. Hair is shinier, softer and stronger. Like virgin hair - never colored, heat styled or chemically processed. What I say: This is my favorite line by Living Proof and where a lot of my holy grails live. My hair is dry and damaged and some of these products help to save it. As a whole the line truly helps my color treated hair remain healthy, soft and grow nice and long. CLICK HERE to read my in depth review of all the products in the Restore Line by Living Proof on Naturallycurly.com! How to: Long Wearing Pink Lips featuring It Cosmetics! Check out this quick tutorial on how I get long lasting, pretty pink lips using three It Cosmetics amazing lip products! Step 1: Take the It Cosmetics "Your Lips But Better" Anti-Aging Waterproof Lip Liner in "Pretty in Pink" Outline the shape of your lips first and then fill them in. This color is beautiful all on it's own, but will be the foundation for the staining effects and super pink lips! Step 2: Take the It Cosmetics Vitality Lip Flush Lipstick in the shade "Ja Ne Sais Quoi" and go over your lips a few times. This adds some moisture thanks to the butters and oils inside and helps brighten and intensify the pink! Step 3: Take the It Cosmetics Vitality Lip Gloss Stain also in the shade "Ja Ne Sais Quoi" and go over your lips. This will add even more staining properties, as the liner and lip flush are staining already but it will also add a beautiful glossy finish and make your lips appear to look more full. It also smells like delicious vanilla! Step 4: Enjoy long lasting, pretty pink lips! The color will last for hours and hours- even through eating and drinking. The shiny gloss part will wear off but you can also reapply that. Tips to SAFELY Straighten Curly & Wavy Hair! Be Featured on the @curlsandblossms Instagram! How To: DIY Greek Yogurt Deep Conditioner Mask!